Cash Mob Edmonton is settings its sights on High Street businesses ailing amid the 102 Avenue bridge closure. On April 4 at high noon, engaged Edmontonians are encouraged to visit High Street and take part in our biggest Cash Mob event ever (after having some awesome success with the last Cash Mob at Earth’s General Store). Fall 2014 Cash Mob YEG on 104 Street. Photo by Stephanie Chai. With the Grout Road bridge closed until fall 2015, businesses in the High Street area aren’t getting the same traffic as usual. That’s why Cash Mob Edmonton decided to hit the whole area, rather than just one business. Shops in the mostly locally owned district report a noticeable drop in traffic coming through the doors. Cash Mob organizer Tommy Kalita says it’s unfortunate, but it’s also an opportunity: “Let’s get together and show them that we want local businesses to thrive in this city.” Edmontonians of all ages are encouraged to meet this Saturday, April 4, at noon at the corner of 102 Avenue and 124 Street. Businesses will offer discounts, a wine tasting and gift cards to thank Cash Mobbers for their support. It’s suggested that participants bring $20, a tote bag and as many friends as they can. Make sure you find out all the latest information on this Cash Mob by signing up for the event here for free. A little cash and a lot of people goes a long way. Help us ensure a prosperous local economy for the good of everyone. 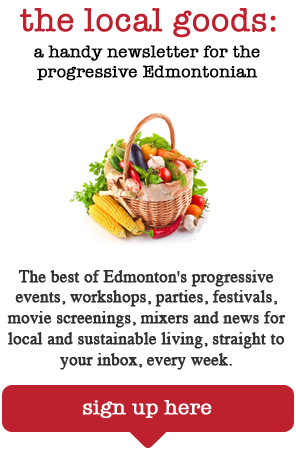 Cash Mob Edmonton supports local business by mobilizing engaged Edmontonians to support local business en mass. Cash Mobs have popped up around the world as a way to support local business. Studies show money spent locally generates more local economic activity than that spent at a global level. Businesses have also reported a sustained interest after a Cash Mob event is held at their store or area.